I spent the better part of last week in New Orleans for FinCon, which is a financial bloggers conference. It was my first FinCon, and I assure you, it will not be my last. I am not someone who has an expectation of making money from my blog; however, my blog has become part of my brand and it’s a great way for me to share my unique voice in the personal finance community. Since I plan to remain an active part of the personal finance community for the foreseeable future, I want to make sure that I am doing everything I can and should where my blog is concerned. My brain is filled with a ridiculous amount of information, ideas and goals after this conference, and here are the top ten things that I learned from the experience. I heard this phrase more times than you can imagine, and I laughed to myself at one point that there should have been a FinCon drinking game where we had to take a shot every time we heard things like “content is king” or “SEO” or “affiliate.” This seems like a basic point of blogging, but it is the most important point of blogging. You can’t expect to have a successful blog if no one wants to read your content. If anyone is reading this and hasn’t started a blog, remember that your content should come before anything. A good rule of thumb, is to write about things that you are interested in. If you are interested, the odds are someone else will be interested as well. I met JD my first night in New Orleans and immediately found him to be gracious and engaging. Over the course of the conference, I had the pleasure of sharing multiple conversations with him, and it turns out we both have very similar views like content is everything and SEO stinks. We also have a similar long term goal of helping people with their money. I am thankful to JD for one of my favorite FinCon memories, which included eating pizza and listening to jazz with JD and Kylie Ofiu. I am not going to mince words; there were a number of big egos walking around the conference. Many bloggers have become successful and apparently they have lost all humility along the way. JD could easily have been “that guy” instead it turns out that he is funny, inspiring, passionate and humble. It is nice to know that money and success has not changed him from the captivating and honest person who started Get Rich Slowly 8 years ago. A very big theme around the conference was podcasting. It seemed that everywhere you looked, a podcast was taking place or podcasting was being discussed. I am not a huge podcast fan, and in fact just recorded my first one with Joe at Stacking Benjamins that is airing today. In my defense, though, I have never really given podcasts a try. From the looks of the conference, though, and even in a FinCon video, it seems that so far, podcasting is a boy’s club. I am not sure why this is the case, but I have a big problem with boy’s clubs. In fact, it was one of the main reasons I became a financial advisor a few years ago. Because I don’t like boy’s clubs, and I believe if you can’t beat ‘em, you should join ‘em, starting next month, I plan to launch a podcast of my own. 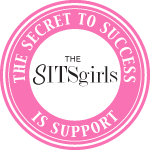 It will replace my Top Ten Fridays, and it will be called, “Martinis and Your Money – Living a Better Life One Cocktail at a Time” I plan to interview my favorite personal finance ladies in a fun, entertaining and casual setting. If you want to be a part of it, send me a note! There were a number of amazing keynote addresses, and I have to say that my favorite was Chris Ducker’s, and it was my favorite for this tweetable tweet alone. I think people are afraid of starting a blog or a business because it seems as though the market is saturated. Yes, the market may be saturated; however, it is not saturated with your personality. We all have a unique life perspective, and when we focus on our individuality, we know that no one else can replicate it. 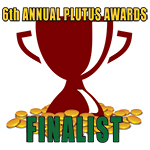 I am not going to lie, I was nominated for two Plutus Awards for my blog, and I wanted to win at least one. In particular, I would have loved to win the award for best financial planner blog. Why? Because like most things in finance, that category was a boy’s club as well and I was the only female up for it. When Jeff Rose was declared the winner for a second time that evening (he won both of my categories), I was disappointed. Following the awards was a happy hour reception where I had the privilege of commiserating with some of my fellow losers. It turns out, there are more losers than winners, and we all enjoyed a laugh at our own expense. Including taking this picture below of all of us empty handed. I have said for a while that I feel as close with some of my online friends as I do with my real life friends, and this conference only proved the validity of my sentiments. I spent most of my week with Melanie from Dear Debt, and it felt like we had known each other for years. From the moment I met her on Tuesday night to our final toast on Sunday, I never had a dull moment. She is a wildly talented singer and dancer; however, my favorite Melanie memory was the “fake laugh contest” she hosted late in the evening on Wednesday. I can’t remember the last time I laughed that hard. Saturday night, after the awards, a group of us, including LB and the Money Tree, Broke Millennial, Cashville Skyline, Making Sense of Cents, More Than Just Money, and The Broke and Beautiful Life, dined cheaply in a restaurant all to ourselves; and it reminded me of evenings I have had with friends I have known for years. We laughed, shared stories and made fun of each other the entire time with not an awkward pause to be had. I have spent the majority of my professional career working with investment bankers, and I thought that they all drank more than anyone I knew, until I hung out with personal finance bloggers. I found my way to bed most nights by 2am and felt like I was a rock star for staying up so late; however, there were always many more bloggers still hanging out in the lobby or hotel rooms after I left. Farnoosh Torabi delivered another wonderful keynote address, and she highlighted a number of bloggers who also wrote eBooks, including yours truly. It was an honor to be mentioned, and a number of people even came up to me afterward and said that they wanted to buy my book after the speech. During the keynote, Farnoosh told the group that after she wrote her first book, she was approached by Bank of America to do a college campus tour to talk about money. I realized in that moment, that this is exactly what I would love to do. Our money habits start building when we are young; however, they really do start to solidify in college, and if I can get the message of financial fitness out there sooner than later, I would love to! Kylie, like JD, is another name in personal finance I have known of; however, unlike JD, I was not really familiar with Kylie’s back-story. She shares some of her experiences on her blog; however, I found out firsthand that she is the victim of domestic abuse and was even homeless for a period of time because she was considered too high risk for the women’s shelter. Kylie is now a single mom, raising two beautiful girls and her strength, sense of humor and perspective are an inspiration to me. I feel honored that I got to spend time with her, including eating beignets and visiting the grave of the voodoo queen of New Orleans. Before the main conference begins, FinCon hosts a camp for new and seasoned bloggers. I signed up for the camp as a newbie with the hopes of gaining lots of great insights in a small setting, and I was not disappointed. I met so many wonderful bloggers during camp, and I am thankful that I had the intimate setting to build those relationships before the big event started. If you have the extra time, I highly recommend it. Did you attend FinCon? If so, what did you learn? If not, do you plan to attend in the future?